Welcome to Bristol Coach Hire, the premium provider of the coach, minibus, and taxi hire in Bristol. With years of experience in the business, Bristol Coach Hire is a brand you can always trust. Our excellent service is intended to aid clients to travel around Bristol with comfort right from your booking to arrival. We take time in planning and providing easy booking process with the use of latest online booking engine to guarantee speedy quotations and stress-free reservation in as little as 60 seconds. Avoid time wasting when waiting for other competitors to quote when you can hit the road with us in less than 30 minutes from the time you call. From our fully air-conditioned vehicles to our specialized drivers, we will transport you to your last stop with comfort and promptness while ensuring your safety too as our top priority. All our vehicles come with GPS devices and locally based drivers providing you the finest routes to your destination professionally and at a reasonable cost. With online reservation and 24/7 live call support, our customer care specialists are always ready to make available the right vehicle to fit your style and comfort. Call Bristol Coach Hire Today for the best rates in Bristol. The least size of our general minibus. It is perfect for any family or smaller corporate organizations. This is a small compact Minibus perfect for small set of personnel’s going to the Airport, Ports or around Bristol. Need a ride for important executives? This luxury vehicle offers ample luggage space and enough room for your corporate executives to enjoy a comfortable ride. This Vehicle is also perfect for small groups travelling within Bristol. The 8 seater minibus we offer is equipped with AC, and entertainment system to make every trip comfortable, fun and safe. This vehicle is big enough to move quite a number of people for any event. It comes with enough space to ensure you arrive in a calm and relaxed manner. This minibus is seamlessly planned to move small teams, friends and families on their special nights. Complete with ergonomically calculated seats, it offers just the perfect size for any small gatherings or school transportation. This vehicle solves any problem of relaxation for longer periods. This is the perfect coach to go efficiently and safely on that long planned trip (whether mid to long range) with your local pub or church gathering. For medium sized transportation, we deliver a 49 – 53 Seater Coach completed with relaxed seating, large luggage space, and ready to go entertainment to keep everyone relaxed and entertained on those long trips. For larger sized groups, our coaches can cater for up to 72 passengers with our Double decker coach 72 Seater for any event. Need to pick up important Executives from the airport? Want a ride in Bristol? Bristol Coach Hire provides the best coach hiring services in Bristol at very reasonably priced rates. You can contact us today using our exclusive booking system to get direct quote within minutes! There is so much more to see in Bristol, check out the other places to visit in Bristol. Looking for hotels, motels, Holiday Inn… to stay in Bristol? Come in and let Bristol Coach Hire assist you in finding your perfect place to stay in Bristol. 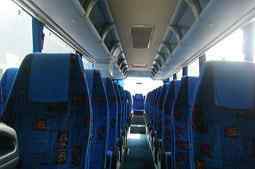 Whether you are in search for a place that you can lodge or a big group, somewhere entertaining or possibly an urban reserve to occupy for some days, Bristol Coach Hire can assist you in finding the best place. The city is full with a whole lot of options: luxury hotels, easygoing budget hotels, old-style guesthouses, nature-friendly accommodations, chic serviced flats, and self-catering sanctuaries. Basically, something for any budget size, style, and taste. Fancy sleeping in an environmental friendly stream of air on the top of St Nick’s Marketplace? Then check out Retro Rocket located in Brooks Guesthouse. Want to stay comfortable with sights of Brunel’s iconic Clifton Suspension Bridge. ? You can try a suite at the Avon Gorge Hotel. Check out the varieties of high-class lodging in Bristol and other similar places. At Bristol Coach Hire, we are sure to find just the perfect reservation for you. We believe it is always quite simpler letting Bristol Coach Hire help you plan your movements. And if you are in search of retreat ideas and bargains, there is a lot for you to choose from. There you have it, you will be resting your head on your right pillow for every night spent in Bristol. And also wake up ready with a beautiful smile and a bright day to commence your very own adventure in the city of Bristol. Contact Bristol Coach Hire today to find the best accommodation around Bristol. We hope to see you soon! In search for events in Bristol? You have found the right place! There is always something wonderful going on in Bristol every time, whether you are into art, food, music, or outdoor fun. You have undoubtedly heard the Bristol International Balloon Fiesta is the biggest of all events. The 4-day ballooning event has got to be on everybody’s Bristol bucket list. So, what are you waiting for? We have got all you need, from what’s on this week to what’s on the next. 1st July 2017-31st July 2017 Bristol Shakespeare Festival 2017. 14th July 2017-5th September 2017 Morph: Still naughty at 40! at The Mall at Cribbs Causeway. 4th January 2017-31st December 2017 Exploring the Solar System 2D and 3D at At-Bristol. 4th January 2017-31st December 2017 Space Explorers 2D at At-Bristol. 4th February 2017-3rd September 2017 The Box presents: Glass Microbiology at At-Bristol. 21st March 2017-31st July 2017 Hanging Gardens at At-Bristol. 21st March 2017-31st July 2017 Kitchen Chaos at At-Bristol. 8th April 2017-3rd September 2017 Skeletons: Our Buried Bones at M Shed. 13th April 2017-6th August 2017 Basim Magdy:The Stars Were Aligned for a Century of New Beginnings at Arnolfini. 1st May 2017-24th September 2017 Tea Trip to Beese’s Tea Gardens with Bristol Packet Boat Trips. 5th May 2017-29th September 2017 Lunch Trips To Beeses with Bristol Packet Boat Trips. 14th May 2017-10th September 2017 Forest Garden Lunch at Westfield Farm. 24th May 2017-5th September 2017 Summer Stargazing 3D at At-Bristol. 27th May 2017-3rd September 2017 Dinomania at Bristol Zoo. 27th May 2017-23rd September 2017 Stonehenge, Salisbury Cathedral with the Magna Carta, and Medieval Salisbury with Greenman tours. No need to car pool or have concerns about elected drivers when Bristol Coach Hire can offer you a relaxed air-conditioned minibus in addition to a professional driver to ensure you or your group is driven to anywhere they need to go at a reasonable cost and safely. Whether you need a coach for a group of chief clients or delegates to or from the airport, Bristol Coach Hire have a variety of automobiles that can meet all your company’s corporate needs for any number of persons or set. Bristol Coach Hire have a wide-ranging fleet of automobiles and chauffeurs completely ready to service the airport in Bristol. We would arrive in as little as 30 minutes from the time reservation was made. Call to book a reservation today!! 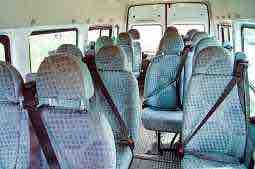 Do you need Minibus tours in Bristol? Bristol Coach Hire offers transport services for you or any set of customers or representatives looking for a minibus tour in Bristol. Bristol Coach Hire offers various varieties of automobiles that can easily meet your demands and also that of your corporate needs of any size or set. Our all-embracing automobiles and drivers are entirely ready to cover any Bristol Minibus Tours with arrival within half an hour from the time of reservation. Call to book a reservation today!! Bristol Coach Hire also offer a wide-ranging choice of automobiles and chauffeurs fully prepared to service any airport in Bristol. We would arrive in as little as 30 minutes from the time reservation was made. Call to book a reservation today!! Our economical Concert Minibus hire in Bristol is well-matched to take you on tour or any smaller assembly of 6 to 24 persons to some of the most enthralling, mesmerizing and picturesque locations in Bristol. Call now to book a reservation today!! Our reasonable Races Minibus hire is well-matched to take you to many races taking place round the clock in Bristol. We also have provisions for smaller assembly of 6 to 24 persons to some of the most fascinating and enthralling races in Bristol. Call now to book a reservation today!! Preparation for any special Day Trips to one of the Bristol’s tourist sites? Bristol Coach Hire have a wide variety of automobiles to choose from that can accommodate your Day Trips. Call today to book a reservation!! Our client engrossed package is intended to guarantee your funeral transportation activities go swiftly and easy. Bristol Coach Hire will look out for the transportation needs to allow you focus rest on other aspects of the arrangement. Whether you need transportation services for your business or other corporate events, Bristol Coach Hire will make sure you reach on time. We understand the importance of timing in business, so we would not let you miss a second of the action. Arranging a special party to have fun on your birthdate? Let Bristol Coach Hire drivers do all the work! We make all birthday’s an unforgettable one for customers. Our automobiles are seamlessly suitable to transfer you around any Bristol Festivals restfully and proficiently. This package would let so that you see and focus on enjoying a well-deserved trip. Are you planning a Nights out in Bristol for yourself or group of buddies? Let Bristol Coach Hire perfect your twilight of adventure in Bristol with our awesome transportation services. Enjoy a night of fun as we take over the nominated chauffeur obligations! Planning an evening of adventure for you and a group of mates? Enjoy a night of partying as we take over the designated driver duties! Let Bristol Coach Hire make your special day a truly memorable one. From VIP transportation for the wedding party to courtesy post-reception transport for your guests, we will ensure that your wedding is worry free. Making any trip preparations for your clerical, college, local, or elderly group to Bristol? Let Bristol Coach Hire transport up to 72 individuals to any location in Bristol at very reasonably priced rates. Scheduling an important trip for your clerical, college, local, or elderly group to Bristol? At Bristol Coach Hire, our coaches are designed to comfortably transport up to 72 persons to any location in Bristol at very reasonable rates. Scheduling an important trip to Bristol? Are you in need of cheap Minibus? At Bristol Coach Hire, our cheap minibus is designed to comfortably transport passengers to any location in Bristol at very reasonable rates. Bristol Coach Hire have a wide-ranging fleet of automobiles and chauffeurs completely ready to service all your transportation needs in Bristol. 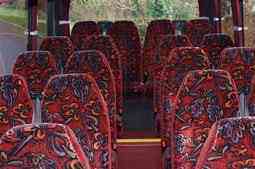 We provide excellent coach hire quotes and arrive on time, mostly before the time reservation was made. Call to book a reservation today!! Whether you need transportation services for yourself or certain individuals in Bristol, Bristol Coach Hire will make sure your privacy is kept and arrival time would be as scheduled. We understand the importance of privacy, so we promise every client high level of professionalism always. Our economical Coach Tours Bristol is well-matched to take you on tour or any smaller assembly to some of the most enthralling, mesmerizing and picturesque locations in Bristol. Call now to book a reservation today!! Bristol Coach Hire is known for our outstanding reputation and ability to offer the very best in Luxury Coach Hire Services in and around Bristol. Let Bristol Coach Hire make your special day a truly memorable one. From providing Luxury Coach for transporting in Bristol to courtesy post-event transportation for your visitors, we will make sure that you enjoy every bit of the journey. With so much to see in Bristol, getting a coach for transportation is the perfect way to move around and see it all! If you have a day of going to places of interest, a festivity or event to be present in Bristol then look no further. Bristol Coach Hire would help you plan and arrange your transportation needs and long trips Planning. Do you need Coaches for special trips for your college, local, religious, or senior members? Our coaches are able to convey up to 72 persons to any location at very affordable rates in Bristol. If you are interested in any of Bristol Coach Hire services, give us call today on ______________________ send us email at ___________________ to speak with one of our excellent customer personnel to book a bus to go for that special outing in Bristol. Bristol Coach Hire is a Leading Online Coach Hire Service. We are happy to offer online Coach, Minibus hire with driving services covering the whole of Bristol city. Our exceptional customer service and extremely low pricing places us number one for all of your transportation request. Bristol Coach Hire can send a coach for hire to your address within 30 minutes. We have excellent customer care experts available all day long to make sure that you get the best experience all through your stay in this city. Your satisfaction is Bristol Coach Hire top priority and for that reason we care and guide your every step in Bristol! Our wide-ranging fleet of affordable automobile is designed to contain passengers ranging from 1 to 72. All cars in our fleet are furnished with air conditioning, entertainment systems, GPS, and ideal luggage space to make sure that every journey is completed on the dot. For VIP transport, we have an executive fleet that is offered to meet your request including a devoted professional driver. Bristol Coach Hire also offer the best available rates. Our proficient customer care personnel is always ready to make sure you get the best rate. Make the correct decision by choosing Bristol Coach Hire. All vehicles have luggage capacity this depends on the number of people traveling at any one time. Amazing prices on all vehicles to fit your budget.